Louise Troup has been in education for over a decade now and has actively promoted debating throughout her career in the public and private sector. In 2016, she coached a team to the National Final of Debating Matters, winning second place in the competition. 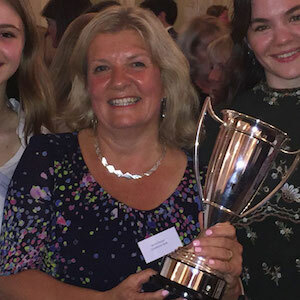 Since this experience, she has become a passionate advocate of the work of the Academy of Ideas and the importance of involving sixth formers in debate. Before becoming an English teacher and Debating coach, Louise had a long career at the BBC and ITN as a broadcaster and journalist, specialising in Business and Economics. Louise joined Sherborne Girls as Head of English in September 2017.